Sunny, cold, and colorful in the Public Garden. I envy you for this wonderful picture, I don't have beautiful landscapes like that around me. Wonderful colors ! And those tall trees are magnificent too! One of the most perfect public spaces in any city, I feel, and made even prettier by those fall colours. As jennyfreckles said, the Public Gardens are pretty special. They look wonderful dressed for fall. a very sunny day I see ! I'm envying it right this second! 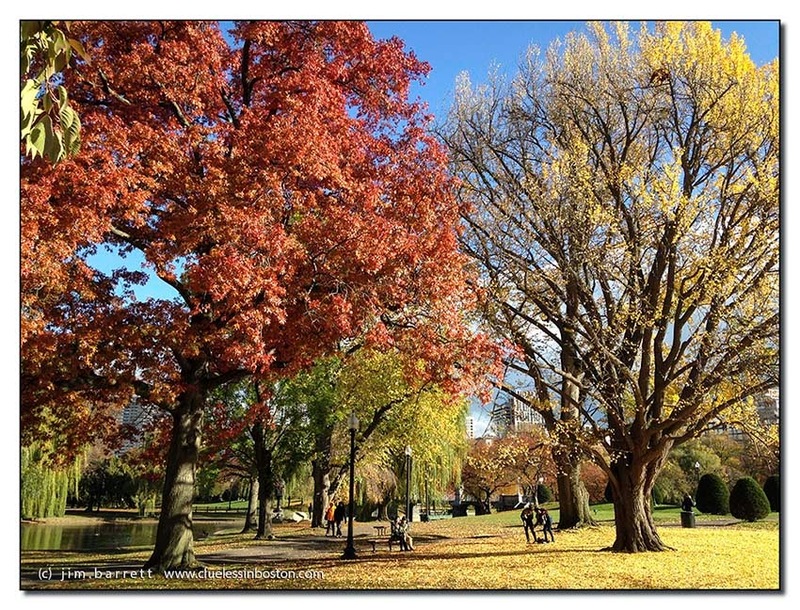 Autumnal colors in Boston and New England --gorgeous! Wish I were shuffling through some of those beautiful leaves. Trees are just starting to show color here in Charleston, but they are never able to match the show in Boston. Waiting for some Christmas photos from Boston!